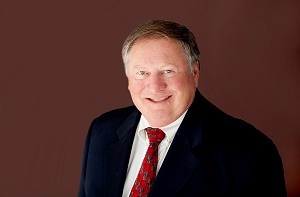 Jerry Middel – Financial Designs Ltd.
Jerry Middel joined Financial Designs Ltd. (FDL) in 1999 and serves as Principal and advisor to high net worth families and successful companies. His expertise is compensation and benefits for key executives. In addition, Jerry works closely with community banks in the area of executive benefit planning and bank-owned life insurance (BOLI) administration. Jerry was the President of Executive Benefits Administrators, a company he founded in 1994, before merging with FDL. Prior to that, Jerry was a national leader in executive compensation and benefits for Sedgwick, at the time, one of the top five consulting firms in the U.S.
Jerry attended Calvin College and continued his studies at The American College. He holds the professional credentials of Chartered Life Underwriter (CLU®) and Chartered Life Financial Consultant (ChFC®). He is a member of the Denver Estate Planning Council, the Denver Association of Life Underwriters, and the American Society of CLU and ChFC. Jerry is active in the community and has served on the boards of Denver Kids, Inc., Providence Network, Leaders Challenge, and The Charitable Fund. Jerry is active in community affairs and has received Colorado’s National Philanthropic Day “Outstanding Volunteer” and the Minoru Yasui Awards. Jerry and his wife, Joyce, live in Littleton, Colorado, and enjoy time with their children and grandchildren. Jerry’s favorite leisure activity is fly fishing.